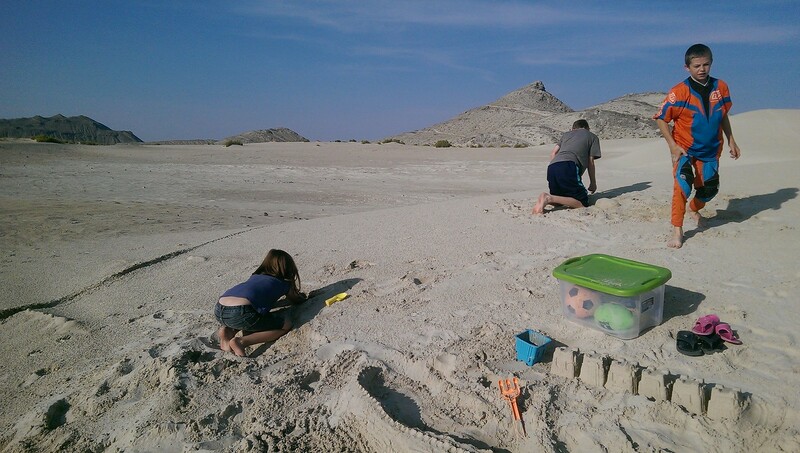 Knolls is home to nearly 36,000 acres of sand dunes, hills, and mud flats. It's close proximity to Salt Lake City makes it a very popular destination. Knolls is located 80 miles West of Salt Lake along I-80 before reaching the Bonneville Salt Flats. It is pretty easy to find once you get close, just follow the signs taking exit 41. Clicking this link will take you there from your location using google. There is an entrance fee to Knolls of $6 per vehicle per day. There is plenty of room to camp for trailers or tents and there are a few bathrooms available if you do camp in tents. 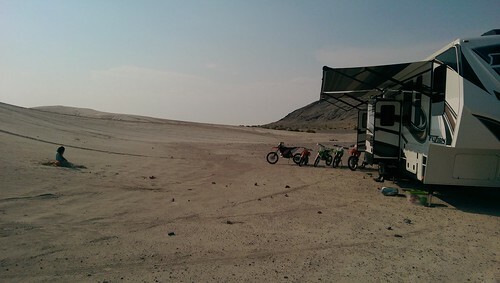 All of the camping is located near the dunes on the various flats scattered throughout. 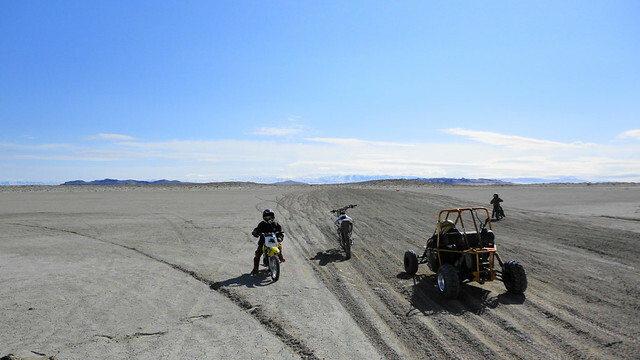 At first glance the dunes are the only place to ride, but there is more if you venture across the mud flats to the West and even to the East. Be cautious before going on to the mud flats however, if they are wet things can get messy quick. We have been going to Knolls for many years. Even in February we have had some pretty nice days out there, but it can be nasty too depending on the conditions. Winds can get up to 80mph and it does get cold. On a sunny calm day however, it can make a nice retreat from the winter snow and city inversions. When the sand is wet it can be a great place for beginners, but when it's dry it becomes a little more difficult. 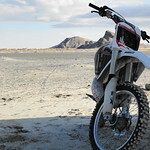 Even so, with the mud flats, dunes, rock hills, and numerous whoops and trails there is something here for everyone. Best Time To Ride: Spring and Fall, but can be ridden year round! Location: 80 miles West of Salt Lake along I-80. Click for Directions to Knolls OHV Area from your location. Elevation: 4,200 to 4,300 feet. Here is some video footage from a trip we took in February. It started out pretty cold with snow in places then warmed up nicely. Traveling across one of the mud flats. Dunes etc. are scattered throughout the flats making for fun riding. A trip we made with tents. It's good idea to have long stakes if setting up on the sand like this if the wind kicks up.